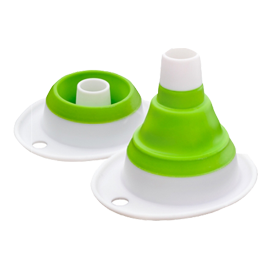 Get the Zestio Pouch Topper attachment correct for safe pouch feeding. 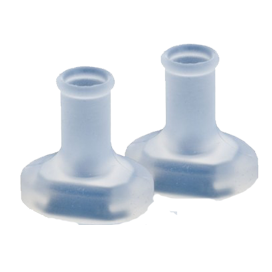 It is a soft, flexible silicone pouch topper attachment which covers the hard rough areas on food pouches. 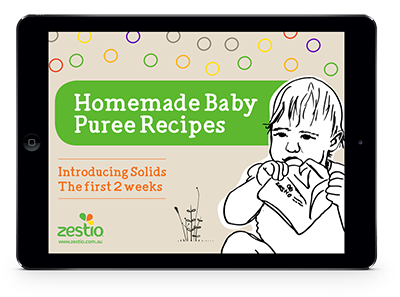 Protecting your baby’s gums as they learn to self-feed. 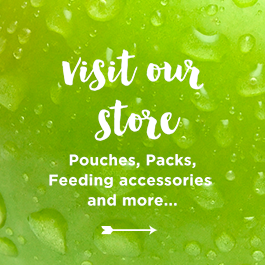 The Zestio Pouch Topper is perfect for 4 month to 18 month old babies. 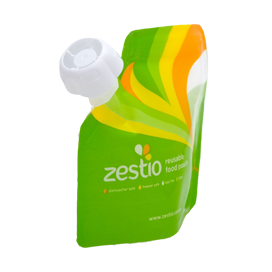 Remove food pouch cap of the Zestio Reusable Food Pouch or most store bought food pouches. Push the pouch topper on firmly over the spout until you hear it ‘click’ into place. 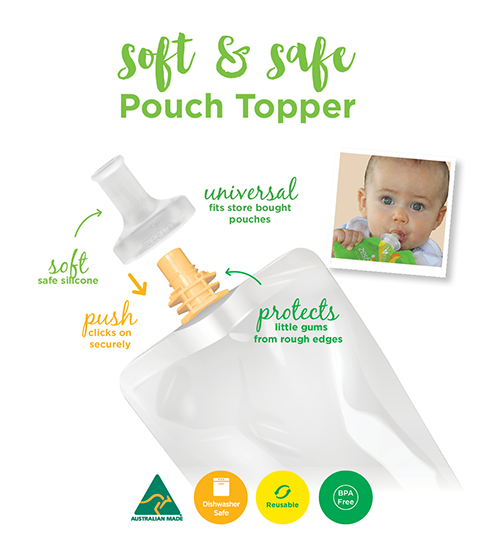 The ‘flaps’ under the topper will attach over the platforms on your spout, giving it a strong hold that your baby won’t remove while feeding. To safely remove the pouch topper, turn the topper as you lift up off the spout. This will release the ‘flaps’ correctly. 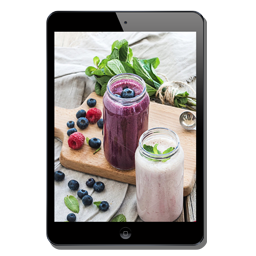 Wash in soapy water or the dishwasher and reuse. Be sure the topper is dry when reusing to ensure a firm grip to the spout next use.